'Baking'...hufff, for me, it's a six letter word which can give me tremors more than what an earthquake with rector scale 6.0 would give. It's not that I can't bake, but baking perfect is what matters to me. If the cake sinks in the centre or if I don't see a crack on the top, I genuinely go slightly depressed. Though this is history and now I know how to bake, at least the basics, but still baking is an art which needs a lifetime learning, and mastering this art will take ages for me. To me, Pistachio with Rose makes a soothing combo for summers, to keep you cool and refreshing. 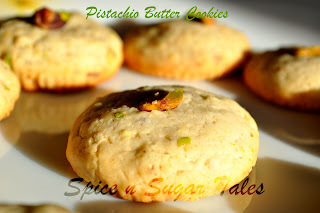 Pistachio, known as 'Pista' in India is a culinary nut that is often used in preparing desserts. Consuming unsalted, dry roasted pistachios prevents any addition of unwanted fats and additional sodium in the diet that may affect cardiac health adversely and increase hypertension. Marmalade is a fruit preserve made from the juice and peel of citrus fruits, boiled with sugar and water. In languages other than English, "marmalade" can mean preserves made with fruit other than citrus. For example, in Spanish the term usually refers to what in English is called jam (and "jalea" is similar to the English jelly). In Portuguese marmelada applies chiefly to quince jam (from "marmelo", the Portuguese for quince). In Italian too, marmellata means every jam and marmalade, as it does Mermelada in Italian-influenced Rioplatense Spanish. Marmalade recipes include sliced or chopped fruit peel simmered in sugar, fruit juice and water until soft. Marmalade is sometimes described as jam containing fruit peel but manufacturers also produce peel-free marmalade. Marmalade is often eaten on toast for breakfast. 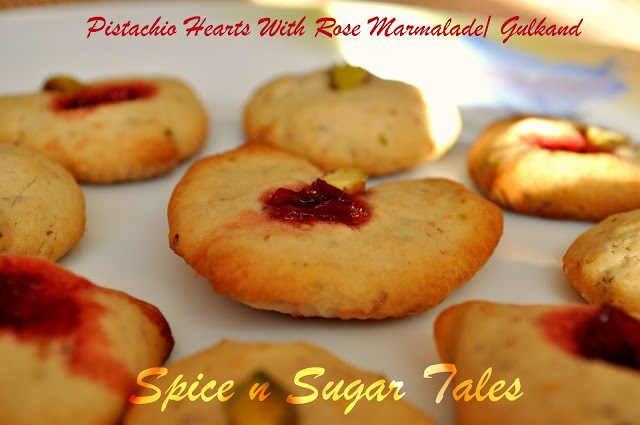 Rose Marmalade is nothing but what we call 'Gulkand' in India, just with a small difference that 'Gulkand' only has sugar added to the rose petals, whereas, the Marmalade has some citrous juices added to it as well. It is believed to be of great use in scorching summers because of its cooling properties. Preheat the oven at 175 degrees Celsius for 10 minutes. On the other hand, line the baking tray with parchment paper. Since I had none here, so I used muffin papers for baking. Now take butter (room temperature) and sugar in a bowl and beat till it becomes light and fluffy. Take maida /APF, baking powder and salt in another bowl. Sieve it twice. Crush the pistachio coarsely. Do not make a fine powder. Now add the maida mixture to the butter sugar mixture and mix softly with hands. You should get a crumbly mixture/dough. 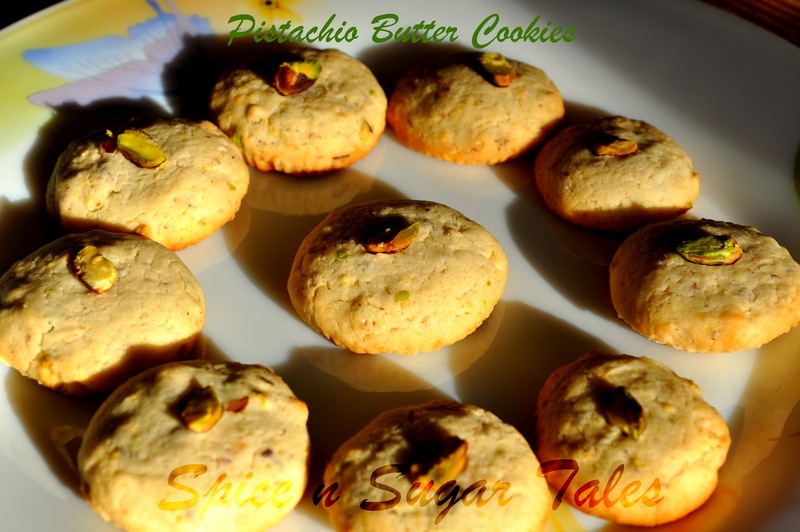 Now add the crushed pistachio, followed by milk and bring it all together with very soft hands. You'll get a very soft dough. Do not over-mix. The dough will be sticky, so avoid adding too much milk which will make it even stickier. If you are not at ease using this sticky dough, you can refrigerate it for 15-20 minutes wrapped in a cellophane sheet, and then form and cut it into desired shapes. Since I could not hold my patience for long, I decided to work on this sticky dough by brushing my hands with some ghee/clarified butter. Now divide the dough in 10-12 equal parts. Make flat balls by pressing between your palms, but don't forget to grease your palms before shaping them. 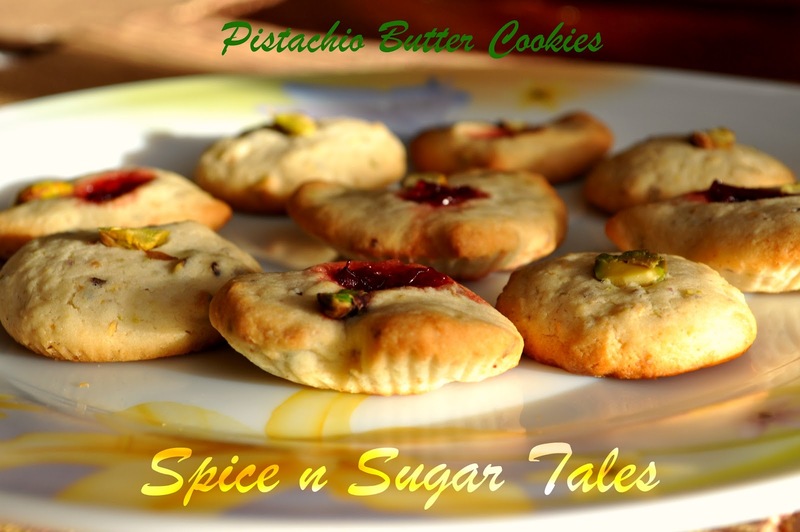 Also, you can give different shapes to the cookies with a cookie cutter. I had them left back in India so I managed to craft some shapes with my hands. If you wish to use the Rose Marmalade/ Gulkand, make a small dip/ dent in the centre of the cookie and fill the Gulkand in it. Arrange them in the tray keeping a distance of 1 and a 1/2 cms between each other. Bake at 175 degrees Celsius for 12-15 minutes or till the base goes golden/light brown. If you want them crispier, bake for 2-3 minutes more. The baking time also depends on the oven you are using because each one has its own specifications. Cool them on a wiring rack and store in an air-tight box. Always use the butter which is at room temperature. Melted butter will not go fluffy. If you have melted the butter by mistake, just refrigerate it for 5 minutes and then re-use. Greasing your hands with ghee/butter can make moulding very easy for you. If you want crispy cookies, keep the cookies thin while shaping them. The thicker they are, the softer they stay. Rose Marmalade can be replaced by any other marmalade/jam. 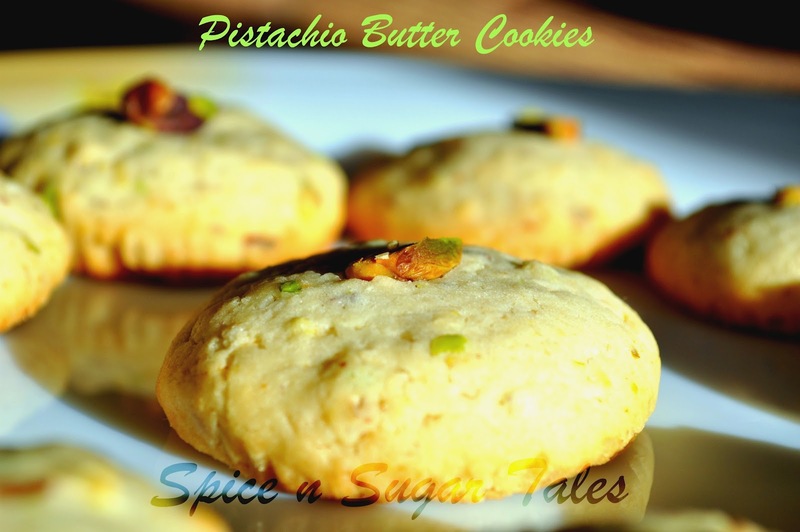 You can also make almond and cashew cookies in just the same way. 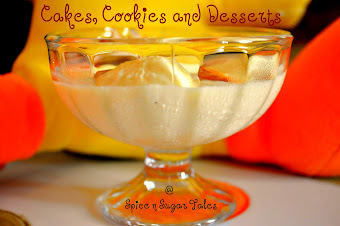 If you want the cookies sweeter, add in more sugar, but this will make them slightly harder. BTW the cookies have turned out perfectly......m drooling over the clicks!! 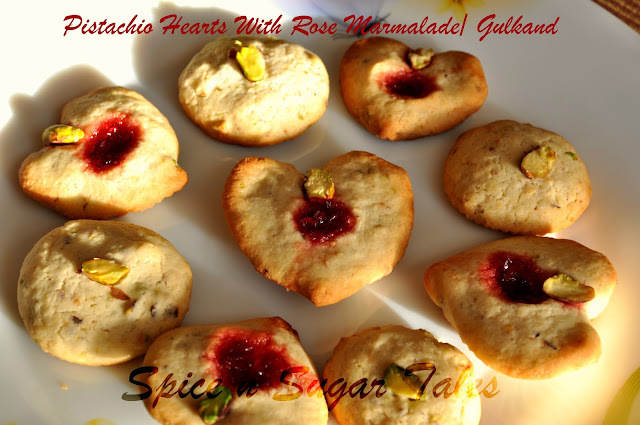 Gulkand cookies look fabulous. Great job Anjali. Keep it up. 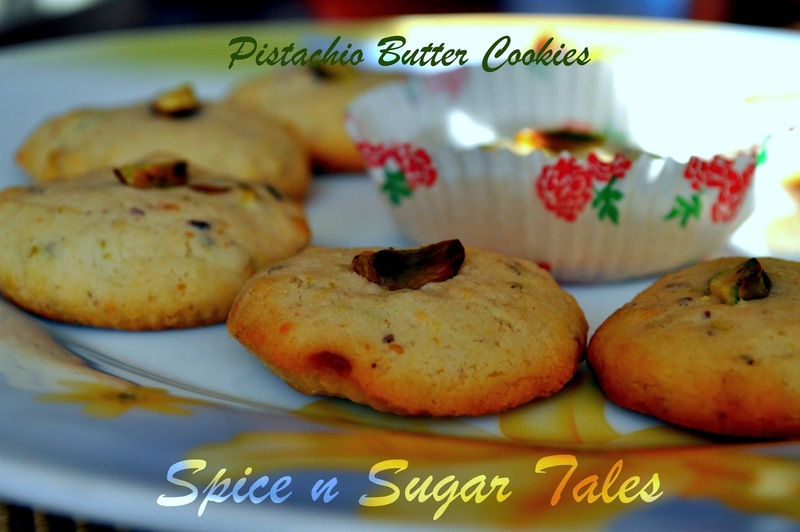 Cookies look cute and yummy..
Love the use of Gulkand......very Indianised version of cookies.....Bookmarked. Hey these look so lovely Anjali. I can totally understand how you feel if a bake gets bombed. Looks so beautiful.. Perfect for Valentine's. Thanks for linking up Anjali. Cute looking cookies. Thx for linking to the event. 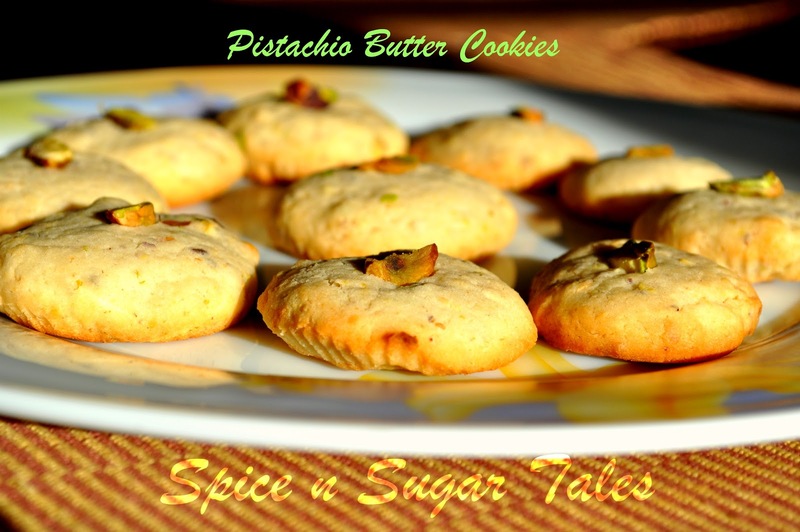 These are wonderful and very interesting cookies!